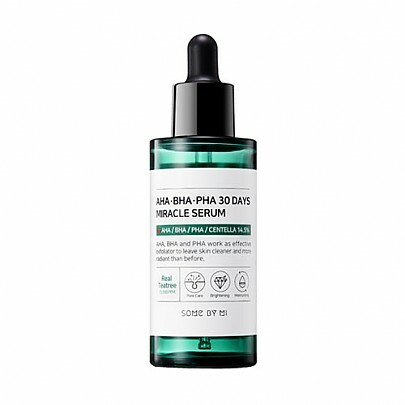 SOME BY MI AHA BHA PHA 30 Days Miracle Serum contains 14.5% Centella Asiatica Extract, 10,000ppm Tea Tree Extract and 3 types of skincare acids (AHA, BHA & PHA) to soothe, protect and rejuvenate your skin. Suited for all skin types. Highly recommended for sensitive, oily and acne prone skin. Note: Shake well before each use. This miracle serum will transform your skin within 30 days! It soothes and calms acne, inflammations and redness with Centella Asiatica Extract. The AHA, BHA and PHA in this formula work alongside the Centella Asiatica Extract to accelerate skin cell turnover, strengthen your skin barrier and control sebum production. Tea Tree Leaf Extract is used to fight acne-causing bacteria as well as eliminate excess oil. Using this serum daily will help you achieve a clear, youthful complexion. For best results, use Some By Mi AHA BHA PHA 30 Days Miracle Toner before applying this serum. After serum application, follow with the Some By Mi AHA BHA PHA 30 Days Miracle Cream. 14.5% Centella Asiatica Extract – a plant ingredient that regenerates skin cells, heals and soothes acne and reduces redness. Tea Tree Leaf Extract (10,000ppm) – an ingredient with antibacterial properties that reduces swelling and soothes inflammations. Tea Tree also draws out excess oil, calms acne and disinfects inside your pores. AHA – alpha hydroxy acids. 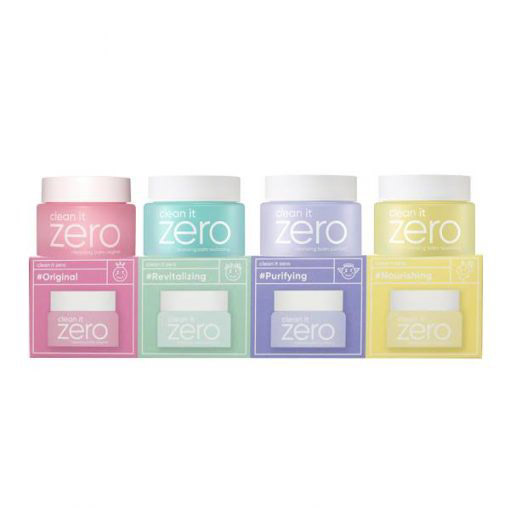 These include Glycolic Acid, Lactic Acid and Mandelic Acid, and are found naturally in foods, milk products and fruits. They are water soluble and dissolve dead skin cells on the surface layer of your skin. AHAs also promote collagen production, skin cell turnover and lighten pigmentation. BHA – beta hydroxy acids. Found naturally in foods such as dairy products, fruits & nuts. They are oil soluble and penetrate deep into the pores to break down sebum and dissolve blackheads. Has anti-inflammatory properties and reduces acne and skin redness. After cleansing and toning, use the dropper to apply 3-4 drops of serum onto your face. Gently massage over your entire face. Note: Shake the bottle well before each use. Caprylic/capric triglyceride, cetyl ethylhexanoate, centella asiatica extract (14.51%), purified water, olive oil, glycerin, propanediol, , Ethanol, 1,2-hexanediol, tea tree leaf (10,000ppm), niacinamide, green tea extract, golden extract, Root Extract, Spanish Licorice Root Extract, Matricaria Root Extract, Rosemary Leaf Extract, Sheet (7500ppb), sodium lactate (17,500ppb), sodium PCA (7,500ppb), glycolic acid (3,000ppb), lactic acid (3,000ppb), malic acid (3,000ppb), pyruvic acid (500ppb), tartaric acid (100pppm), Lactobionic extract (100ppm), Cranberry extract, Lavender extract, Basil leaf extract, Western myrtle plant extract, Pyranthrene extract, Chrysanthemum root extract, Marshmallow root extract, Rosemary root extract Water, Madecassoide, Tea tree seed oil, Rice bran oil, Green tea seed oil, Rosehip fruit oil, Sweet almond oil, Meadow Foam seed oil, Sodium chloride, Radish root extract, Grapefruit peel oil, Orange peel oil, Leaf Extract, Indian Mulberry Tree Flower Extract, Indian Mulberry Bark Extract, Pearl Powder, Zanthan Gum, Pentylen Glycol, Drumstick Seed Oil, Holly Basil Leaf Extract, Basil Flower / Leaf Extract, Geranium Flower Oil, Frankincense oil, balsamic amylase peel oil, di-sodium iodide, caprylyl glycol, ethylhexyl glycerin. Some By Mi is a Korean beauty brand that creates skincare which strengthens skin cells and restores your skin’s health. Its products use high quality, effective, low irritating ingredients.